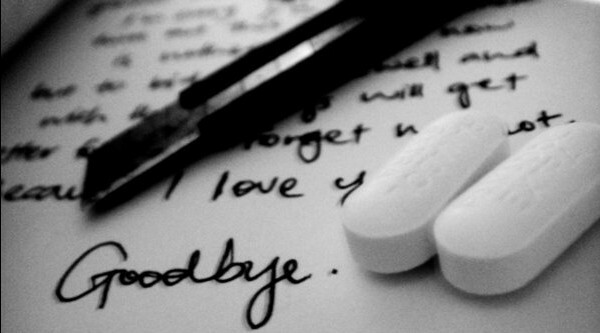 Suicide is not the option for matrics who have failed; help is at hand. With the matric results set to be released next week, Head of the KwaZulu-Natal Department of Health Dr Sibongile Zungu has appealed to matric pupils who have failed their examinations to remain calm and know that help is at hand. Suicide due to matric failure is regarded as a contributor to the high rate of suicide among young people in South Africa. And according to the South African Depression and Anxiety Group (SADAG), 75% of people who commit suicide give some warning – meaning that all suicide threats should be taken seriously. The warning signs include talking or joking about suicide, depression, preparing for death (such as giving favourite things away), self-criticism and changes in personality, such as sudden negative and aggressive behaviour. Dr Zungu is thus urging the public to become more vigilant when interacting with matric pupils from the class of 2014 who have failed their exams. “South Africa has the eighth highest rate of suicide in the world, according to the South African Federation for Mental Health and these stats cannot be ignored. History has shown us that some matric pupils who don’t do well at the exams tend to struggle to cope with the results and end up taking their own lives. This is a desperate call for us as civil society, parents, friends, colleagues and government to step in and reaffirm our uBuntu values and commitment. As a Department we want anyone who feels overwhelmed to know help is available,” she said. Dr Zungu said that every hospital in the province has a system of referral for those requiring counselling and anyone needing assistance is urged to get in touch with their nearest health facility. “There is always a way and we have skilled counsellors and health workers who are available 24 hours a day to provide advice and counselling to those in need. Our country is also fortunate to have many organizations in all areas that are on hand to provide a guiding hand, a listening ear and a way forward to ease the burden people of all ages often face in life. People who turn to desperate measures like suicide often feel helpless and alone. And each life lost to suicide, especially a young life, is one life too many. Therefore, we must do all we can to prevent these tragedies, not just at a government level, but as civil society. It’s a desperate call for help and we must respond collectively,” Dr Zungu said. – Be direct. Talk openly and matter-of-factly about suicide. – Be willing to listen. Allow expressions of feelings. Accept the feelings. – Be non-judgmental. Don’t debate whether suicide is right or wrong, or whether feelings are good or bad. Don’t lecture on the value of life. – – Get involved. Become available. Show interest and support. – Don’t dare him or her to do it. – Don’t act shocked. This will put distance between you. – Don’t be sworn to secrecy. Seek support. – Offer hope that alternatives are available but do not offer glib reassurance. – Take action. Remove means, such as guns or stockpiled pills. – Don’t leave them alone, get help from persons specializing in crisis intervention and suicide prevention. – If necessary, get in touch with the police.